I've got a quick post for you all. It's the holiday weekend and I'm trying to get a little relaxing in (whatever I can get with two little boys bouncing around me). And of course some sewing too. This top is a repeat and I'm so happy with the results the second time around. I made this top the first time last summer (which you can read about here). I liked it however since I was a newbie at sewing clothes, I didn't cut out the best size for me and it turned out a little big. I was determined to get it right because I loved the style of it. 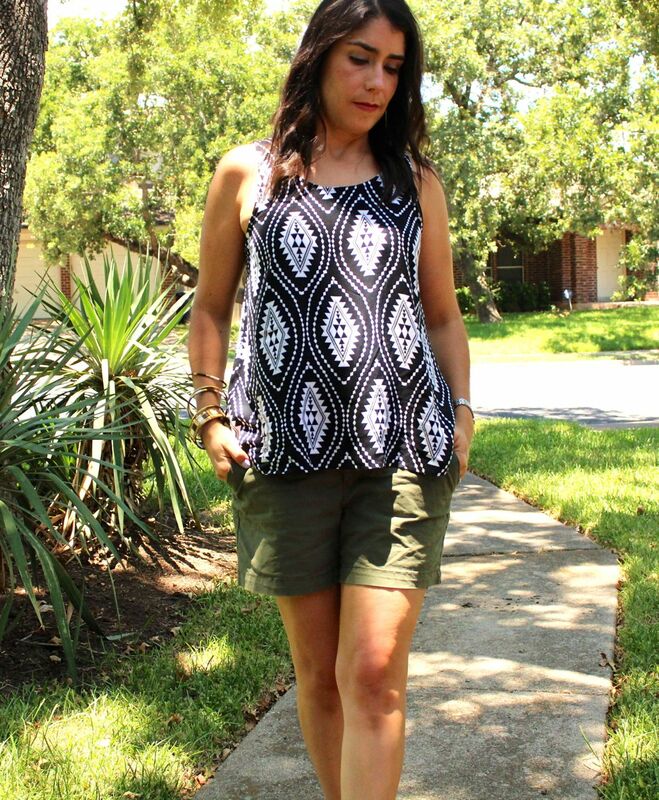 It's a perfect little summer tank that can be dressed up or down. The flow and loose fit is great and I absolutely love the opened back. This is Simplicity 1589 and it's from their "Learning to Sew" series of patterns. I cut out size 12 this time and it fits great. The fabric was purchased from Fabric.com, it's almost sold out now but you can find the direct link here. It's a black and white geometric print on a rayon challis. 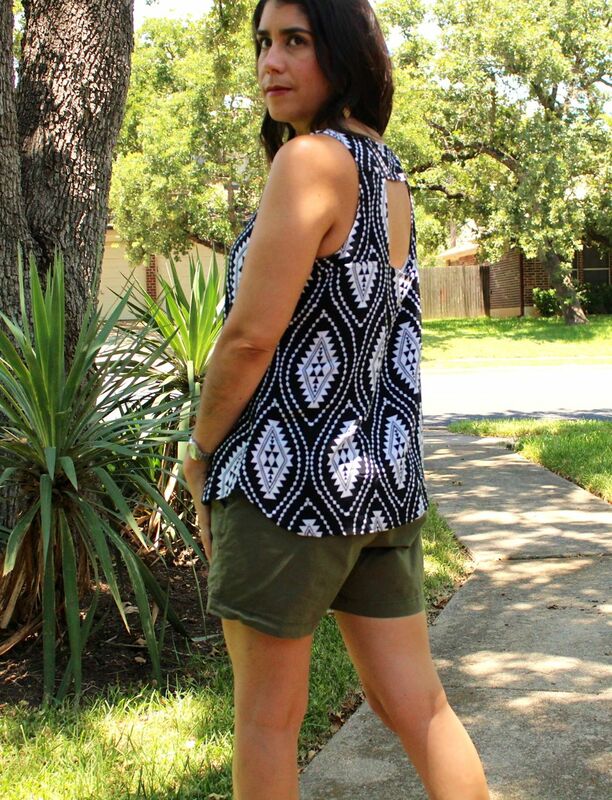 I've worn this top so many time this summer: with white jeans, regular denim jeans, jean shorts and pictured here with olive green shorts. I really would love to keep making more of these tops, but I should expand my skills a little more. Maybe I'll come back to it again next summer. How many times have you sewed from a pattern that you love?